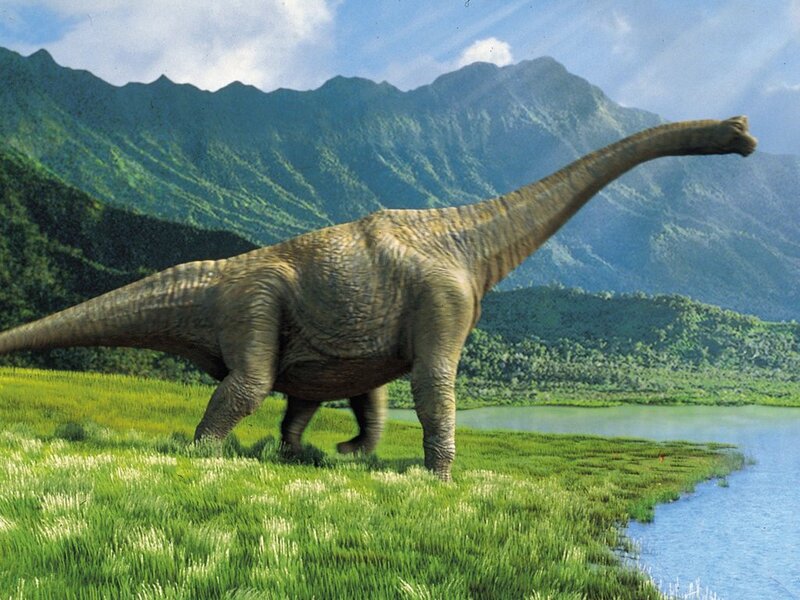 The other day a devotee friend was asking me if Srila Prabhupada had ever discussed with his disciples the topic of Dinosaurs. “That is a good question, I am not really sure”, I replied. So I went to Prabhupada Books and did a search. Sure enough there was some discussion about the theory of evolution and the dinosaur. We share with you one such conversation. Devotee: Darwin tried to show how the origin of living species could be fully explained by the purely mechanical, unplanned action of natural forces. By the process he called “natural selection,” all the higher, complex forms of life gradually evolved from more primitive and rudimentary ones. In a given animal population, for example, some individuals will have traits that make them adapt better to their environment; these more fit individuals will survive to pass on their favorable traits to their offspring. The unfit will gradually be weeded out naturally. Thus a cold climate will favor those who have, say, long hair or fatty tissue, and the species will then gradually evolve in that direction. Śrīla Prabhupāda: The question is that in the development of the body, is there any plan that a particular kind of body—with, as you say, long hair or fatty tissue—should exist under certain natural conditions? Who has made these arrangements? That is the question. Śrīla Prabhupāda: That is nonsense. There is no such thing as chance. If they say “chance,” then they are nonsense. Our question remains. Who has created the different circumstances for the existence of different kinds of animals? Śrīla Prabhupāda: Yes, frogs and many other animals lay eggs by the hundreds. A snake gives birth to scores of snakes at a time, and if all were allowed to exist, there would be a great disturbance. Therefore, big snakes devour the small snakes. That is nature’s law. But behind nature’s law is a brain. That is our proposition. Nature’s law is not blind, for behind it there is a brain, and that brain is God. We learn this from the Bhagavad-gītā [9.10]: mayādhyakṣeṇa prakṛtiḥ sūyate sa-carācaram. Whatever is taking place in material nature is being directed by the Supreme Lord, who maintains everything in order. So the snake lays eggs by the score, and if many were not killed, the world would be overwhelmed by snakes. Similarly, male tigers kill the cubs. The economic theory of Malthus states that whenever there is overpopulation, there must be an outbreak of war, epidemic, famine, or the like to curb it. These natural activities do not take place by chance but are planned. Anyone who says they are a matter of chance has insufficient knowledge. Śrīla Prabhupāda: But that is not by chance! That is by plan! He doesn’t know that. As soon as one says “chance,” it means his knowledge is imperfect. A man says “chance” when he cannot explain. It is evasive. So the conclusion is that he is without perfect knowledge and therefore unfit for giving any knowledge. He is cheating, that’s all. Śrīla Prabhupāda: If he sees a plan or design, then whose design? As soon as you recognize a design, you must acknowledge a designer. If you see a plan, then you must accept a planner. That he does not know. Devotee: But the “plan” is only the involuntary working of nature. Śrīla Prabhupāda: Nonsense. There is a plan. The sun rises daily according to exact calculation. It does not follow our calculation; rather, we calculate according to the sun. Experiencing that in such-and-such season the sun rises at such-and-such time, we learn that according to the season the sun rises exactly on the minute, the second. It is not by whimsy or chance but by minute plan. Devotee: But can’t you say it’s just mechanical? Śrīla Prabhupāda: Then who made it mechanical? If something is mechanical, then there must be a mechanic, a brain, who made the machine. Here is something mechanical [Śrīla Prabhupāda points to a Telex machine]: Who made it? This machine has not come out by itself. It is made of iron, and the iron did not mold itself into a machine; there is a brain who made the machine possible. So everything in nature has a plan or design, and behind that plan or design is a brain, a very big brain. Śrīla Prabhupāda: That is foolishness. Combination means God. God is combining. Combination does not take place automatically. Suppose I am cooking. There are many ingredients gathered for cooking, but they do not combine together by themselves. I am the cooker, and in cooking I combine together ghee, spices, rice, dāl, and so on; and in this way, nice dishes are produced. Similarly, the combination of ingredients in nature requires God. Otherwise how does the moment arise in which the combination takes place? Do you place all the ingredients in the kitchen and in an hour come back and say, “Oh, where is my meal?” Nonsense! Who will cook your meal? You’ll starve. But take help of a living being, and then we’ll cook and we can eat. This is our experience. So if there is combination, then who is combining? They are fools not to know how combination takes place. Śrīla Prabhupāda: If the basic principle is chemicals, who made the chemicals? That question should be asked. Devotee: Isn’t it possible that one day science will discover the source of these chemicals? Śrīla Prabhupāda: There is no question of discovering: the answer is already known, although it may not be known to you. We know. The Vedānta says, janmādy asya yataḥ: [SB 1.1.1] the original source of everything is Brahman, Kṛṣṇa. Kṛṣṇa says, ahaṁ sarvasya prabhavo mattaḥ sarvaṁ pravartate: “I am the origin of everything.” [Bhagavad-gītā 10.8] So we know that there is a big brain who is doing everything. We know. The scientists may not know; that is their foolishness. Śrīla Prabhupāda: No, they cannot say the same thing about us. We accept Kṛṣṇa, but not blindly. Our predecessors, the great ācāryas and learned scholars, have accepted Kṛṣṇa as the origin of everything, so we are not following blindly. We claim that Kṛṣṇa is the origin, but what claim can the scientist make? As soon as he says “chance,” it means that he has no knowledge. We don’t say “chance.” We have an original cause; but he says chance. Therefore he has no knowledge. Śrīla Prabhupāda: Is the theory that the human body comes from the monkeys? Śrīla Prabhupāda: Related? Everything is related; that is another thing. But if the monkey body is developing into a human body, then why, after the human body is developed, doesn’t the monkey species cease to exist? Śrīla Prabhupāda: Yes, and both are now existing. Similarly, we say that at the time the evolutionists say life began, there were human beings existing. Śrīla Prabhupāda: Why no evidence? Śrīla Prabhupāda: Is the ground the only evidence? Is there no other evidence? Śrīla Prabhupāda: But they still cannot prove that there was no human being at the time they say life originated. They cannot prove that. Śrīla Prabhupāda: Apelike men or manlike apes are still existing now, alongside human beings. If one thing has been developed by the transformation of another thing, then that original thing should no longer be in existence. When in this way a cause has produced its effect, the cause ceases to exist. But in this case we see that the cause is still present, that there are still monkeys and apes. Śrīla Prabhupāda: We say that we all come from God, the same ancestor, the same father. The original father is Kṛṣṇa. As Kṛṣṇa says in the Bhagavad-gītā [Bg. 14.4], sarva-yoniṣu kaunteya: “Of as many forms as there are,…” ahaṁ bīja-pradaḥ pitā: “I am the seed-giving father.” So what is your objection to this? Śrīla Prabhupāda: You are packed up with layers of earth, that’s all. That is the boundary of your knowledge. But that is not knowledge; there are many other evidences. Śrīla Prabhupāda: So I say that in human society bodies are burned after death, cremated. So where does your excavator get his bones? Śrīla Prabhupāda: According to our Vedic system, the body is burned to ashes after death. Where, therefore, would the rascal get the bones? Animals are not burned; their bones remain. But human beings are burned, and therefore they cannot find their bones. Devotee: I’m just saying that it appears, through layer after layer of deposits in the earth, that biological forms tend to progress from simple and primitive forms to more and more complex and specialized ones, until finally civilized man appears. Śrīla Prabhupāda: But at the present moment both simple and complex forms are existing. One did not develop into the other. For example, my childhood body has developed into my adult body, and the child’s body is no longer there. So if the higher, complex species developed from the simpler, lower species, then we should see no simple species. But all species are now existing simultaneously. Śrīla Prabhupāda: That is nonsense. You cannot give a history of five hundred million years! Where is the history of five hundred million years? You are simply imagining. You say “historical evidence,” but where is your evidence? You cannot give a history for more than three thousand years, and you are speaking about five hundred million. This is all nonsense. Śrīla Prabhupāda: By dirt you are calculating five hundred million years? It could be ten years. You cannot give the history of human society past three thousand years, so how can you speak of four hundred or five hundred million years ago? Where were you then? Were you there, so you can say that all these species were not there? This is imagination. In this way everyone can imagine and say some nonsense. For example, if you are traveling in a train, you find first class, second class, third class; they are all existing. If you pay a higher fare and enter the first-class carriage, you cannot say, “Now the first class is created.” It was always existing. So the defect of the evolutionists is that they have no information of the soul. The soul is evolving, transmigrating, from one compartment to another compartment, simply changing place. The Padma Purāṇa says that there are 8,400,000 species of life, and the soul evolves through them. This evolutionary process we accept: the soul evolves from aquatics to plants, to insects, to birds, to animals, and then to the human forms. But all these forms are already there. They do not change. One does not become extinct and another survive. All of them are existing simultaneously. Śrīla Prabhupāda: What has he seen? He is not so powerful that he can see everywhere or everything. His power to see is limited, and by that limited power he cannot conclude that one species is extinct. That is not possible. No scientist will accept that. After all, all the senses by which you gather knowledge are limited, so how can you say this is finished or that is extinct? You cannot see. You cannot search out. The earth’s circumference is twenty-five thousand miles; have you searched through all the layers of rock and soil over the whole earth? Have you excavated all those places? Śrīla Prabhupāda: Therefore our first charge against Darwin is this: He says there were no human beings millions of years ago. That is not a fact. We now see human beings existing along with all other species, and it should be concluded that this situation always existed. Human life has always been there. Darwin cannot say there was no human life. Devotee: We don’t see any dinosaurs existing. Śrīla Prabhupāda: You do not see because you have no power to see. Your senses are very limited, so what you see or don’t see cannot be authoritative. So many people—the majority of people—say, “I don’t see God.” Shall we accept, then, that there is no God? Are we crazy for being devotees of God? Śrīla Prabhupāda: But simply by dinosaurs being missing you cannot make your case. What about all the other species? Śrīla Prabhupāda: Say I accept that many are extinct—because the evolutionary process means that as an earlier species gradually changes into a later species, the earlier vanishes, becomes extinct. But we see that many monkeys are still here. Man evolved from the simians, but simians have not disappeared. Monkeys are here, and men are here. Śrīla Prabhupāda: But I say you have not studied all over the world. Has Darwin studied all the continents on this planet? Has he gone down into the depths of the seas and there excavated all the layers of the earth? No. So his knowledge is imperfect. This is the relative world, and here everyone speaks with relative knowledge. Therefore we should accept knowledge from a person who is not within this relativity. Śrīla Prabhupāda: That means he has not seen all the species. He has not traveled all over the universe. He has seen one island, but he has not seen the whole creation. So how can he determine what species exist and don’t exist? He has studied one part of this earth, but there are many millions of planets. He has not seen all of them; he has not excavated the depths of all the planets. So how can he conclude, “This is nature”? He has not seen everything, nor is it possible for any human being to see everything. Śrīla Prabhupāda: We are not talking about this planet, but about anywhere. You are referring to nature. Nature is not limited or confined to this planet. You cannot say that. Nature, material nature, includes millions of universes, and in each and every universe there are millions of planets. If you have studied only this planet, your knowledge is insufficient. Śrīla Prabhupāda: I say they are existing now—men, horses, snakes, insects, trees. So why not millions of years ago? Śrīla Prabhupāda: That doesn’t mean… ! You limit your study to one planet. That is not full knowledge. Śrīla Prabhupāda: Why the time being? If you are not perfect in your knowledge, then why should I accept your theory? That is my point. Śrīla Prabhupāda: Whether on this planet or on another planet, that is not the point. The point is that all species exist and keep on existing by the arrangement of nature. We learn from the Vedic texts that there are 8,400,000 species established. They may be in your neighborhood or they may be in my neighborhood—the number and types are fixed. But if you simply study your neighborhood, it is not perfect knowledge. Evolution we admit. But your evolutionary theory is not perfect. Our theory of evolution is perfect. From the Vedas we know that there are 8,400,000 forms of bodies provided by nature, but the soul is the same in all, in spite of the different types of body. There is no change in the soul, and therefore the Bhagavad-gītā [5.18] says that one who is wise, a paṇḍita, does not see the species or the class; he sees oneness, equality. Paṇḍitāḥ sama-darśinaḥ [Bg. 5.18]. One who sees to the bottom sees the soul, and he does not find there any difference between all these species. Śrīla Prabhupāda: They’re missing the whole point. Śrīla Prabhupāda: That may be accepted. For example, in an apartment building there are different kinds of apartments: first-class apartments, second-class apartments, third-class apartments. According to your desire and qualification, as you are fit to pay the rent, you are allowed to move up to the better apartments. But the different apartments are already there. They are not evolving. The residents are evolving by moving to new apartments as they desire. And the classes of “apartments” are fixed at 8,400,000. Just like the hotel-keeper: he has experience of his customers coming and wanting different kinds of facilities. So he has made all sorts of accommodations to oblige all kinds of customers. Similarly, this is God’s creation. He knows how far a living entity can think, so He has made all these different species accordingly. When God thinks, “Come on, come here,” nature obliges. Prakṛteḥ kriyamāṇāni guṇaiḥ karmāṇi [Bhagavad-gītā 3.27]: Nature is offering facility. God, Kṛṣṇa, is sitting in the heart of the living entity as Paramātmā, and He knows, “He wants this.” So the Lord orders nature, “Give him this apartment,” and nature obliges: “Yes, come on; here is your apartment.” This is the real explanation. Devotee: I understand and accept that. But I’m still puzzled as to why there is no geological evidence that in former times on this planet there were more complex forms. Śrīla Prabhupāda: Why are you taking geological evidence as final? Is it final? Science is progressing. You cannot say it is final. Śrīla Prabhupāda: No. You have not excavated all parts of the world. Śrīla Prabhupāda: Seven continents is not the whole world. You say you have excavated the whole world, but we say no, not even an insignificant portion. So your knowledge is limited. Dr. Frog has examined his three-foot-wide well, and now he claims to know the ocean. Say, for example, that I receive knowledge from my mother: “Here is your father.” But you are trying to search out your father on your own. You don’t go to your mother and ask; you just search and search. Therefore, no matter how much you search, your knowledge will always remain imperfect. Śrīla Prabhupāda: Oh, yes, because our Vedic information is that the first created being is the most intelligent, the most intellectual person within the universe—Lord Brahmā, the cosmic engineer. So how can we accept your theory that intellect develops by evolution? We have received our Vedic knowledge from Brahmā, who is so perfect. Devotee: But wouldn’t there be evidence in the earth, some remains? Śrīla Prabhupāda: Our evidence is intelligence, not stones and bones. Our evidence is intelligence. We get Vedic information by disciplic succession from the most intelligent. It is coming down by śruti, hearing. Vyāsadeva heard from Nārada, Nārada heard from Brahmā—millions and millions of years ago. Millions and millions of our years pass, and it is not even one day for Brahmā. So millions and billions and trillions of years are not very astonishing to us, for that is not even one day of Brahmā. But Brahmā was born of Kṛṣṇa, and intelligent philosophy has been existing in our universe from the date of Brahmā’s birth. 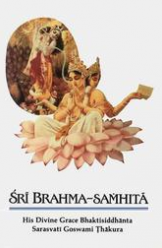 Brahmā was first educated by God, and His knowledge has been passed down to us in the Vedic literature. So we get such intelligent information in the Vedas. But those so-called scientists and philosophers who do not follow this system of descending knowledge, who do not accept knowledge thus received from higher authorities—they can’t have any perfect knowledge, no matter what research work they carry out with their blunt senses. So whatever they say, we take it as imperfect.